Central Michigan Orthodontics provides patients with more options than ever before due to advances in today’s orthodontic technology. Dr. DeWitt, Dr. Riley and their fantastic orthodontic team will help you determine which treatment option is right for you. 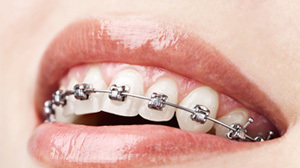 Metal braces are the most common type and are widely used by orthodontists. Today’s modern brackets are smaller in size, comfortable, and constructed of stainless steel with a passive slide mechanism to maintain archwires within the bracket. 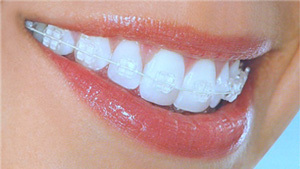 These self-ligating braces reduce friction, allowing teeth to move more freely and making treatment more comfortable. High-technology memory-shaped wires quickly move teeth with fewer adjustments. Virtually invisible, clear brackets have advantages over metal brackets. Clear brackets deliver a discrete treatment experience so people may not even realize you’re wearing braces! 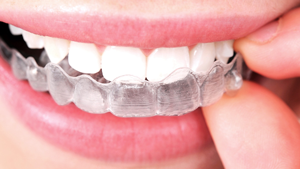 As with our metal braces, these clear brackets also have the slide mechanism which allows teeth to move more freely and are gentle to the teeth and tissues. Clear appliances, such as Invisalign, use a series of invisible, removable aligners to straighten teeth without drawing attention to your smile. Invisalign aligners are comfortable and food choices are not limited. Patients are able to brush and floss as usual during treatment.